Wishing a very Merry Christmas, Happy Hanukkah or Happy Kwanzaa to all my blog friends. Happy Saturday, it's time to share your critters and post. Any kind of critter will do, even a new or old post.. I appreciate everyone who is linking in with this week's critter party. I am not sure what happened with Mister Linky, just add your name at the bottom of the list. 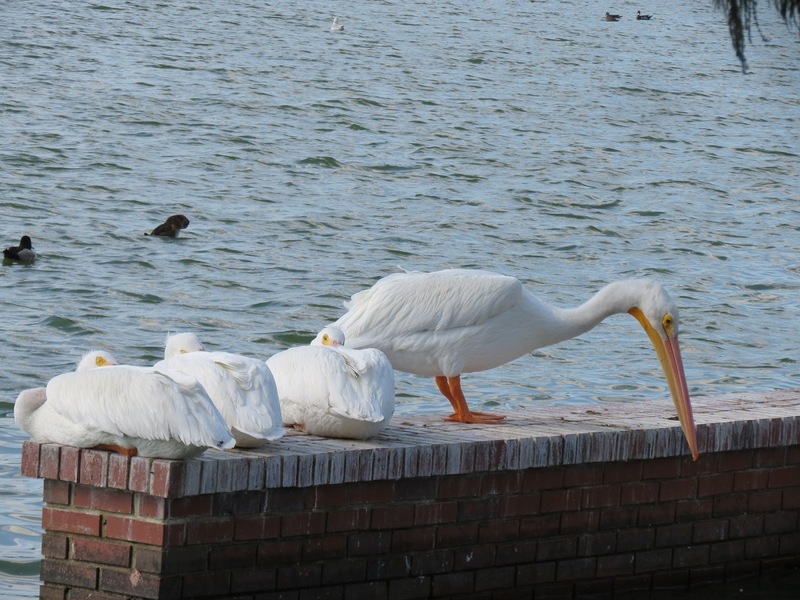 These are from Nov, 19th another one of our visits to Lake Morton in downtown Lakeland. There are always lots of birds to see, a nice variety of swans, ducks and waders. I have tons of photos from this lake, it is hard to choose which to share. I hope you enjoy. A pair of Wood Storks. A variety of egret, geese and White Ibis. Mute Swan front center has the orange bill, but the swan in the back right has the dark black bill is a different swan species. My dream is to take pictures of Wood Duck (wild one not from our city zoo), hope you remember the reason from my former comment p;-) And the swans I really miss them! The Black-necked Swans are SO unique, I wish I could see them. I had a kind of Christmas Present(♡^.^♡)　While I was on our way back from shopping for Christmas dinner,　I could find 'Shrike’perching on an electric wire. Looking forward to posting my 20th species of bird. For the last, I'm so sorry for my big mistake that my first link (no 2) is the same one from previous link. Please forgive me and if you can, would you delete it. 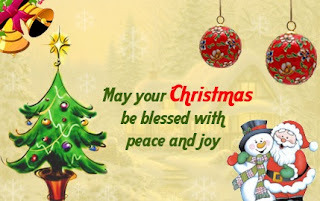 Hi Eileen and Merry Christmas to you and your family. What a beautiful set of birds you found here. Don´t think I have ever seen black necked swans or the single one with grey bill. Strange! Must be very rare. Beautiful photos, and they are all so pretty. The Black Swans are amazing! Happy Weekend, and Merry Christmas! Beautiful Feathered Critters. Looks like they are all out to enjoy the festive season too! Merry Christmas & Happy New Year to you, Eileen & to your love ones too! Wishing you a merry Christmas Eve and Christmas, Eileen! The wood duck is just spectacular!! So beautiful Eileen, I love all your critter photos. I think this time the pelican is so special. Wish you a Merry Christmas and all the best for 2017! Eileen, such a wonderful collection of feathered critters for Christmas. The exotic swans are certainly graceful but I especially seeing the beauty of our native storks, pelicans and especially the Wood Duck! Merry Christmas! you take such wonderful photos of storks and pelicans, they are my favorite birds. I love them because they are so ugly they are cute... your photos show details I don't see with the naked eye. 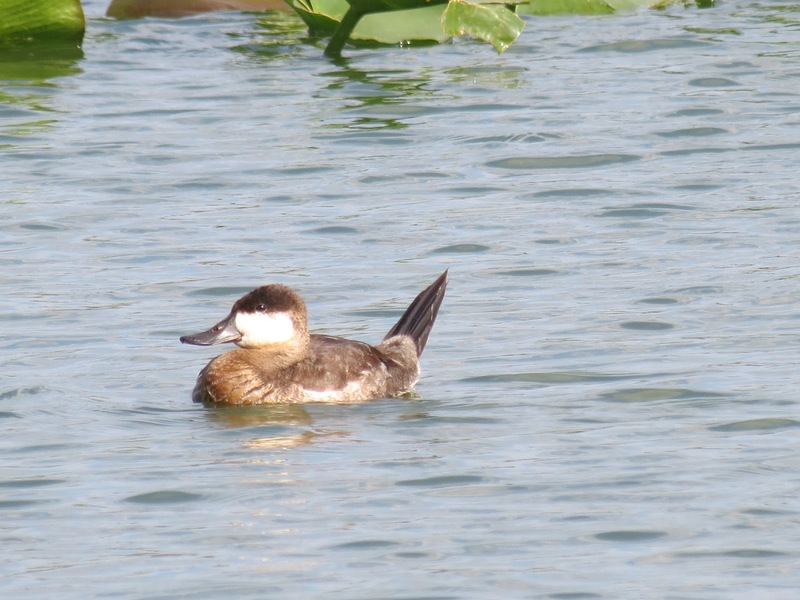 Loved the Ruddy duck--what a handsome fella. Have a VERY Merry Christmas, Eileen. May the New Year bring you lots of fun. Good morning Eileen. You've shown us another brilliant collection of birds today. I think the pelicans are just awesome creatures. And even though the Black Swans are not native to America or here in Britain, I always love to see them. Thank you for all of your hard work in bringing your critters to us each week in 2016. Please accept my very best wishes for Christmas and the coming New Year. The swans are so beautiful! It's nice to go to a lake or pond and see so many birds! Enjoy your day sweet friend. Merry Christmas! The Pelican sitting on the end of the pier by himself has such a self-satisfied smile on his face! Wishing you a wonderful Christmas and many blessings in the New Year! Been there. You got great shots of the natives. Merry Christmas Eileen and many thanks for the gift you give us all year by hosting ... and of your beautiful pictures too! Aren't Florida birds great? Famous photos of beautiful birds! My favorites are the black swans. Do these critters know it is Christmas? Merry Christmas to you, and your family, and your critters. beautiful foto'heb you in your psot. Great to see all these beautiful birds. WoW!! lots of peeps today!!! Eileen, have a wonderful holiday!!! those black swans, always so special!!! What beautiful creatures, Eileen! Hope you have a wonderful Christmas! What a fabulous birds you have photographed, I loved them. Seasons Greetings to you and hubby. Wish you and your family a very Merry Christmas & Happy Hanukkah. So many white birds! Thanks for hosting us, Eileen! Have a Merry Christmas in the warmth! A lovely lot of photographs ... thank you. 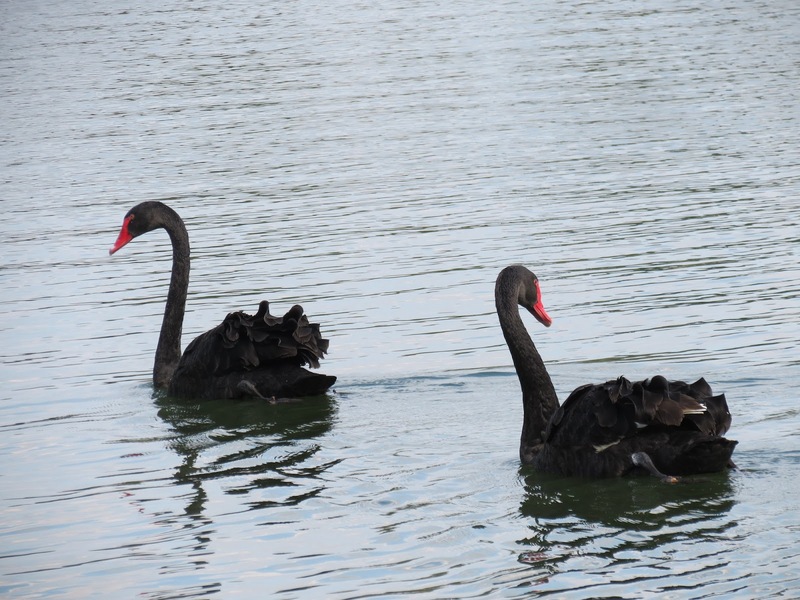 The black swans are my favorite picture today though all of them are amazing. Beautiful photos of birds in this post. 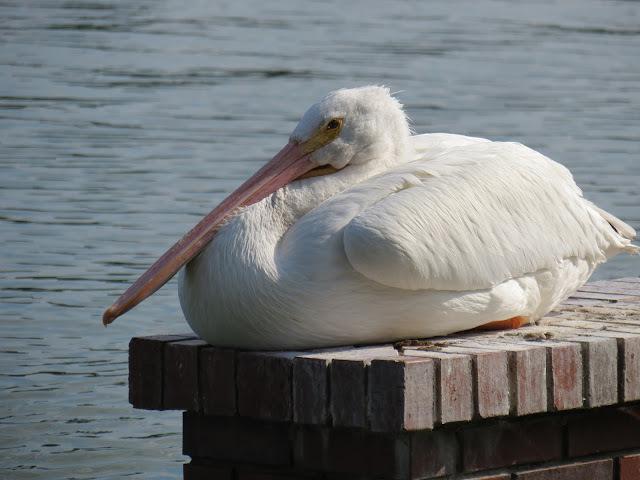 I didn't know Pelicans were that big - cool! Wonderful collection of beautiful birds, Eileen! Wow! The choir of birds gather in this beautiful display. I like the snowy white egrets. Thanks for all the effort you put into your blog. Thanks for sharing your talent. Merry Christmas. Merry Christmas to you and your family Eileen. Hi Eileen, Outstanding photographs! Oh so nice to see the Ruddy Ducks. Have not seen any here yet. Beautiful Swans, too! Merry Christmas! Pelicans are such amazing-looking birds. Wonderful pictures! Hope your Christmas is delightful! Merry christmas.. Best wishes to you and your family. Merry Christmas, Eileen. Thank you for all the wonderful photos you share. What a lovely treat these photos are, Eileen. A perfect Christmas gift! Many thanks for hosting this great meme this past year, I've enjoyed joining in and seeing all the beautiful posts. May you be well and healthy in the year ahead and take many more great photos! Dearest Eileen, wishing you and your family a happy Christmas! Oh my goodness! What a great group of birds! Wow! I need to decide what 'new' bird I want to put as 'most wanted' on my blog! Seeing all these certainly gives me some ideas! Hopefully tomorrow I will find a local lake where they have seen some Snow Geese AND Greater White-fronted ducks also! That would be nice! Hugs! Beautiful shots! Merry Christmas, Eileen! The Wood Storks are very interesting looking..Great shots as always..Merry Christmas to you and yours..I hope 2017 is good to you..
Hi Eileen, Another fine Saturday's Critters post and I enjoyed all the photos! Wishing you and your family a wonderful Christmas. Thank you for sharing your blog and for all your kind comments on mine. Best regards from Seattle! Always a treat . . .
Hopefully 2017 I can add to Saturday's Critters more often! Hope your Christmas was Happy and Merry! Hi Eileen! Merry Christmas to you and your family from Norway! Two of my favorite water fowl, swans and wood ducks. Wonderful photos.You are very lucky to see such a variety of beautiful water birds. Boa tarde, registos lindos das belas aves, está maravilhoso. I hope you had a very Happy Christmas, Eileen and have a wonderful 2017. I didn't realise you had some Black Swans there! Hope you had a good Christmas. Happy New Year! marvelous photos of all these beautiful and pretty birds. I especially love the pelican photos !